First pass underneath Second Ring Road overpass to leave the confines of the Old Imperial City and loose the noise of the forever rolling traffic. 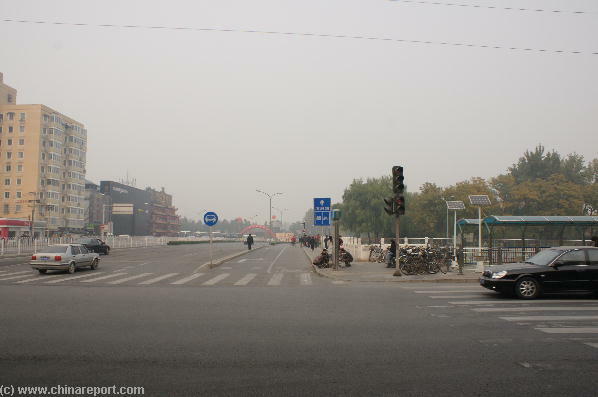 Welcome to China Report's Digital Introduction to Ditan Park in the Dongcheng District of Beijing. The Ditan Park is only a modest sized one among the many Parks in Beijing, however regardless it has been a main stop-over on Tourist Itineraries for the last twenty years or more. 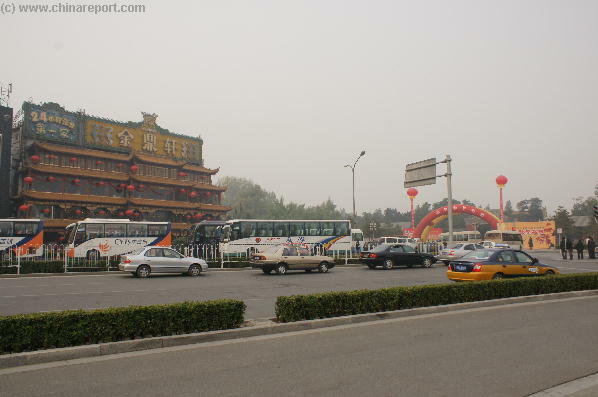 Located on a very convenient point for Bus Drivers and Tour Operators, the South Gate of Ditan Park offers plenty of Parking Space, various luxurious restaurants as well as direct access to Beijing's acclaimed Lama Temple (Yonghegong), the Confucius Temple and the Imperial Academy & College, all of which lie within easy walking Distance. 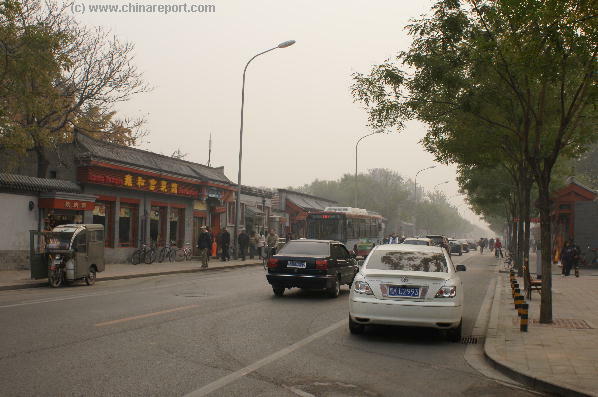 View of YongHeGong, Beijing's Lama Temple standing within easy walking distance from Ditan Park along Hepingli Xijie'. one of the Eight Ancient Holy Altars of the Imperial City, all of which combined together in enabling the Emperors -through Ritual- to communicate with the Powers of the Heavens assuring both a prosperous Reign and the preserving of the Mandate of Heaven. Among the Eight the Di Tan - Altar of the Earth was regarded as one of the four most important Altars. 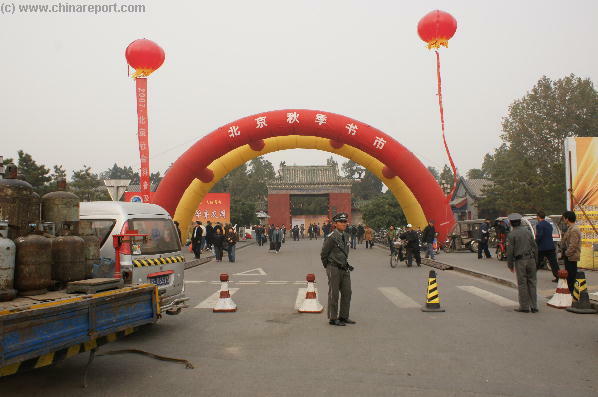 Book Markets, Promotions of Sports- or Social Activities, and of course there is today's equivalent of the traditional Chinese Temple Fair. Head down to Ditan Park to find some Peace away from the now modern City and have a stroll or play a Game of Crocket. Looking for Chinese Books, second hand or other ? You might have luck and find it during one of the many Book Fairs. On other days the Park is all but deserted and there is ample opportunity to enjoy the solemnity of the ancient Ming Dynasty Era Altar and adjacent restored Shrine Hall in private. There are some other Pavilions inside the Park as well. View North along Hepingli Xijie from underneath the 2nd Ring Road at YongHeGong. In the distance the green of Ditan Park is just visible. One of the Exit & Entry points of Hepingli Station on the 2nd Ring Road, beforehand the main gateway from the City to both Yonghegong and Ditan Park. 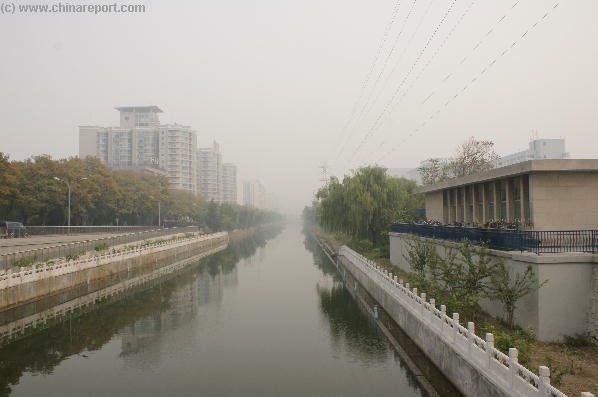 The circular Canal (Andingmen Dong Bin) that flows around most of the current City is the direct descendant of the City Moat of the Imperial City. Once the moat was wide enough to Sail large cargo vessels down to the Walls to offload cargo for distribution within. The Ditan Park is most easily found by locating the circular route of Beijing's second ring road, which was built in the space of the demolished Ming Era City Walls. After locating the pathway of the second ring road, head up to to North side of the Old City and follow the Road towards the North-East corner and find YongheGong clearly marked just East of AndingMen City Gate. From there navigation is simple. Ditan Park with its altar inside at its core stand immediately North of YongheGong across the Second Ring Road and the Canal that is the remainder of the former City Moat. Book a guided Tour to Beijing's YongHeGong (Lama temple) and you are sure to wind up at the Ditan Park as well. In that case, just explore this Report and than sit back an relax until your arrival on the spot. Those who'd rather leave the guide behind and Hike or Stroll their own way can also be accomodated. Basic directions are the same as those for YongHeGong - Lama Temple in Beijing (read Page 1 of YongheGong - Directions + Map). Jin Ding Xuan of Beijing's Tourist Restaurants, with its distinct Traditional Style, strategic location and abundant Lamps. 2008 edition Line 5 marked in light (poison) green. Basicly, this is impossible to miss. For the Ditan Park, use of the Northern Exits of the Station and wind up on either side of the second Ring Road. 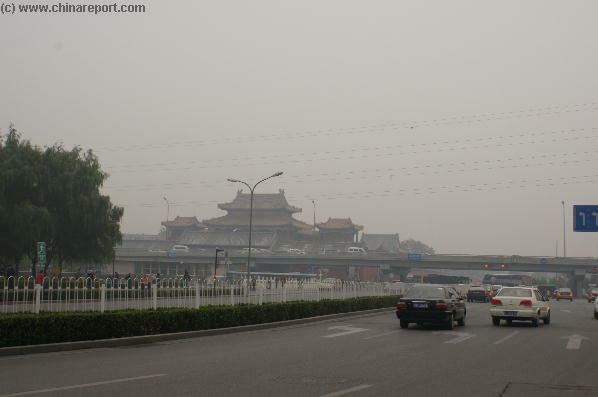 From there all one has to do is hike the considerable distance across the space that once held both the thick and impressive Ming Dynasty Era City Walls as well as a Moat wide enough for Cargo Ships to sail on. 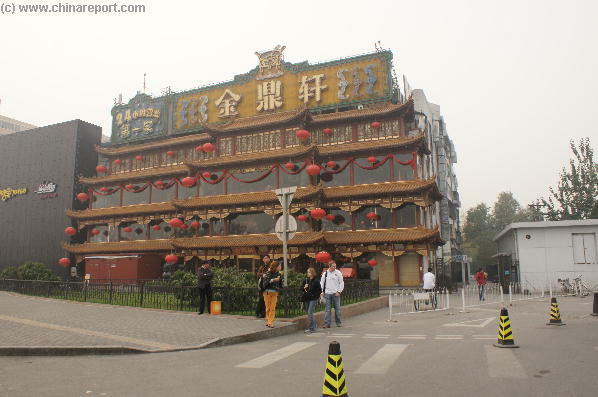 Jin Ding Xuan Restaurant remains a Populair address in Beijing. It opens 24 Hours for Ming Style Cuisine. Visiting locals leave Ditan Park after some shopping and browsing at one of the many Temple (Park) Fairs. the South Gate of Ditan Park. The Red chalked Walls and Gate advertise themselves. People flock from the South Gate of Altar of the Earth Park in Beijing's Dongcheng District during a Fair at the Park. Above: The Main Gate at Ditan Park with the small ticket office adjacent. As is visible, one can come by bicycle and Park ones bike at the Gate if need be. Other Gates provide a similar parking space. 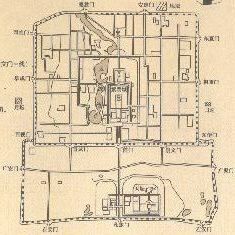 Overview Map of the Old Imperial City Lay-out with the Position of the Main Holy Altars,trajectory of the Moat & Walls. Hepingli XiJie' (West Street) all of whom provide for instant food, a snack and a stock up on drinks. Mind you, the weather can be hot in Beijing until at least in September, and these are the only small and cheap shops within about a Mile. Inside the Park is another official restaurant and a tea house, but usually no snacks are sold inside the Park. 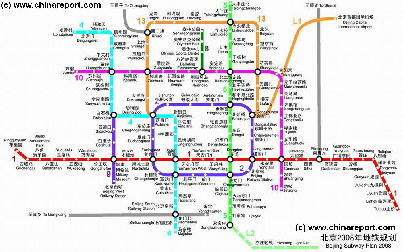 The nearest others can be found along Yonghegong Dajie' (Road) on the other side of the Ring Road. 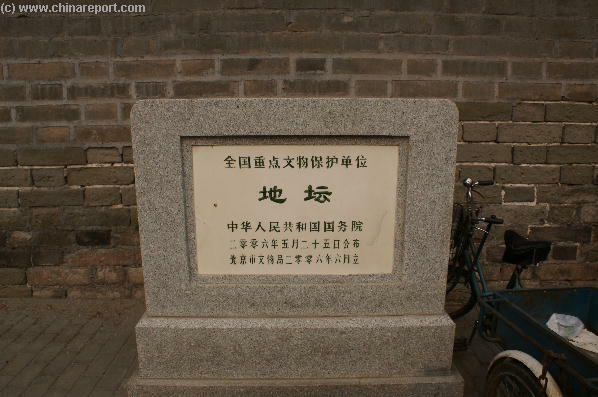 The early Ming Dynasty Era Ditan Park and its Altar of the Earth are Class 1 Protected Relics as offically declared on this Plaquette. Although there is plenty of Space, there is nothing much to see or explore in the vicinity of the South Gate. 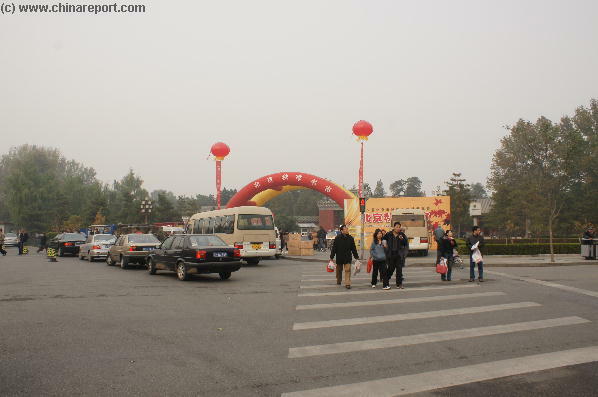 the nearest hot spot of tourism, Chinese shopping and lots of Buddhist Paraphernalia. Head up North-East around Ditan Park to find only residential Flats and some offices. A Road cuts through the Park here dividing it in two sections, while giving access to Ditan Park through an Eastern Gate. Surrounding Ditan Park to the North- and West stand 2 hospitals which are the main hospitals involved with infectious disease in the City of Beijing. View to the South along YongHeGong Road, now a busy street with a multitude of small shops selling Buddhist Parafernelia. again. We're Here, There, we're Everywhere ! Join the Tour 2 and have a Ball in BJ ! 6:00 AM - 21:00 PM all Year around. 30 Rmb standard 1 month fee. A Full Google Earth Supported Map of Of Ditan Park & Area in Beijing by AsiaReport.com. exit when planning to later visit and explore nearby Qingnianhu Park which lies across AndingMenWai Dajie', slightly more to the North. Leave Ditan Park through its West Gate and either visit the adjacent Park, or head South via Andingmen Wai(=outer) Street to find the what is left of the once Huge and Massive AndingMen City Gate. 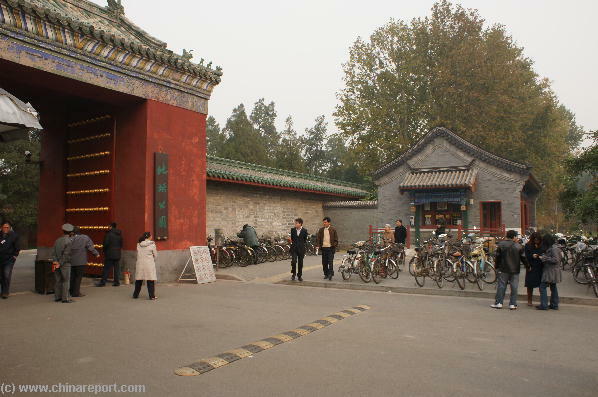 The Andingmen was one of the two Northern Gates of the ancient Imperial City of Beijing, but it has since been reduced. 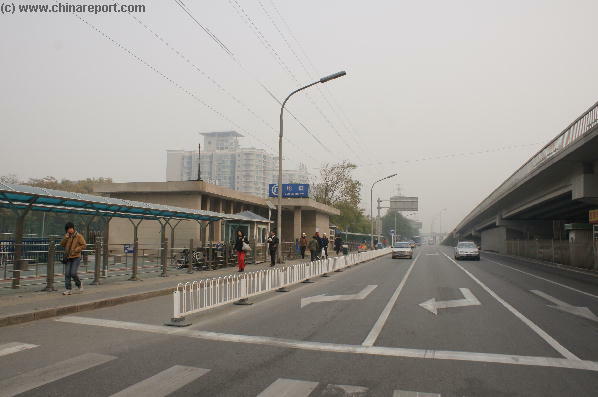 Currently a restored and smaller Gate stands amidst the heavy traffic of one of Beijing's major northern traffic arteries. A modern Bridge has replaced the Old Andingmen Bridge. From the Western Gate of Ditan Park its is possible to walk up North to Liuyin Park, which lies off AndingMen Outer Street (Andingmen Wai Dajie'). This location however lies several blocks northward and the help of a Taxi, or at least a Rickshaw for transport would help considerably to reach there.